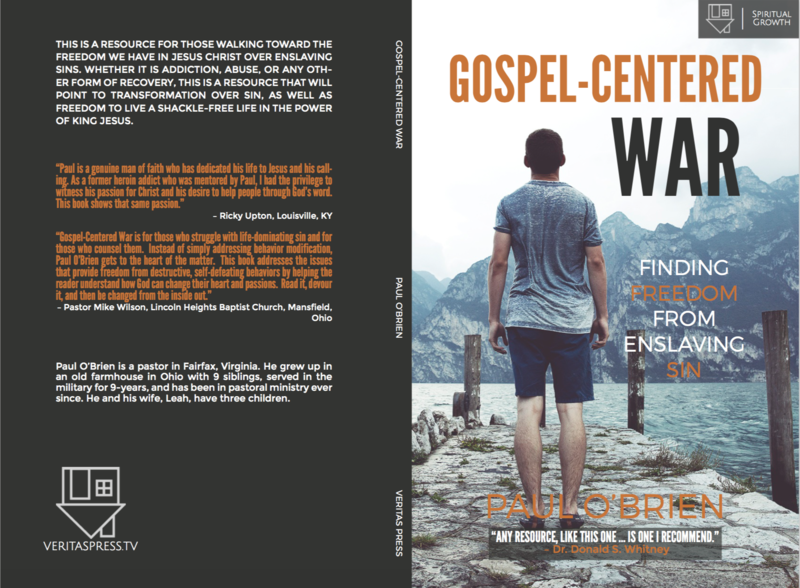 “An emaciated gospel leads to emaciated worship. It lowers our eyes from God to self and cheapens what God has accomplished for us in Christ. The biblical gospel, by contrast, is like fuel in the furnace of worship. The more you understand about it, believe it, and rely on it, the more you adore God both for who he is and for what he has done for us in Christ” (Greg Gilbert, What is the Gospel, p. 21). “That I have rebelled against the holy and judging God who made me is not a happy thought. But it is an important one, because it paves the way for the good news” (30). “Nobody wants a God who declines to deal with evil. They just want a God who declines to deal with their evil” (44). “Since the very beginning of time, people have been trying to save themselves in ways that make sense to them, rather than listening and submitting to God” (102). “If we say merely that God is redeeming a people and remaking the world, but do not say how he is doing so (through the death and resurrection of Jesus) and how a person can be included in that redemption (through repentance from sin and faith in Jesus), then we have not proclaimed the good news. We have simply told the narrative of the Bible in broad outline” (107). “The message of the cross is going to sound like nonsense to the people around us. It’s going to make us Christians sound like fools, and it most certainly is going to undermine our attempts to ‘relate’ to non-Christians and prove to them that we’re just as cool and harmless as the next guy. Christians can always get the world to think they are cool—right up to the moment they start talking about being saved by a crucified man. And that’s where coolness evaporates, no matter how carefully you’ve cultivated it” (110). “Sins don’t shock us much. We know they are there, we see them in ourselves and others every day, and we’ve gotten pretty used to them. What is shocking to us is when God shows us the sin that runs to the very depths of our hearts, the deep-running deposits of filth and corruption that we never knew existed in us and that we ourselves could never expunge. That’s how the Bible talks about the depth and darkness of our sin—it is in us and of us, not just on us” (54). “It is only when we realize that our very nature is sinful—that we are indeed ‘dead in our trespasses and sins,’ as Paul says (Eph. 2:1, 5)—that we see just how good the news is that there is a way to be saved” (55). “Faith and repentance. That is what marks out those who are Christ’s people, or ‘Christians.’ In other words, a Christian is one who turns away from his sin and trusts in the Lord Jesus Christ—and nothing else—to save him from sin and the coming judgment” (73). “If you are a Christian, then the cross of Jesus stands like a mountain of granite across your life, immovably testifying to God’s love for you and his determination to bring you safely into his presence” (117). 1. “Our search for approval is over. In Christ, we already have all the approval we need” (Dave Harvey, Rescuing Ambition, p. 56). 2. “My search for approval is over. In Christ I already have all the approval I need. Because Christ’s righteousness has been transferred to me, all the time and energy I once squandered trying to be liked or praised or to achieve something to validate my existence can now be re-directed toward doing things for God’s glory. I no longer live for approval; I live from approval” (Harvey, Rescuing Ambition, p. 56). 3. “God loves good ambition. It brings him glory as he works through our desires to fulfill his purpose. God doesn’t need us, but amazingly he uses us. But to position us for fruitfulness, he’s continually working in our lives, turning our desires toward his ends and developing our ambitions and accordance with his will” (p. 74-75). Summary of the book: Trust. Trust and unreserved commitment to the Lord is how I would summarize Hudson Taylor and this book. Before he went to China he said: “‘I shall have no claim on anyone for anything. My only claim will be on God. How important to learn, before leaving England, to move man, through God, by prayer alone'” (33). And that’s what we see happen. He learned to trust God alone. He trusted God even with his children. He said, “‘I find it impossible to think that our heavenly Father is less tender and mindful of His children than I, a poor earthly father, am of mine. No, He will not forget us! '” (125). And in dark days, God enabled Taylor to say: “The battle is the Lord’s, and He will conquer. We may fail—do fail continually—but He never fails” (p. 154). The impact that one person can have is tremendous when they trust the Lord and have an unreserved commitment to do His will (cite the number of believers in China now, p. 12). “We want, we need, we may have, Hudson Taylor’s secret and his success, for we have Hudson Taylor’s Bible and his God” (p. 16). That is such a good reminder. The same God that brought Israel out of Egypt, rose Jesus from the dead, and provided for Hudson Taylor is the same God who is Lord of all now. Hudson Taylor wore Chinese clothes even though this was unprecedented and looked down upon by some (cf. e.g. p. 65). This is an important reminder that God and His Word must govern us, not the expectations of others. Hudson Taylor had “the Lord’s own yearning of heart over the lost and perishing” (19 cf. p. 32, 112). “We may have more wealth in these days, better education, greater comfort in traveling and in our surroundings even as missionaries, but have we the spirit of urgency, the deep, inward convictions that moved those that went before us; have we the same passion of love, personal love for the Lord Christ? If these are lacking, it is a loss for which nothing can compensate” (p. 127). This reminds me that I need (God help me!) to develop at heart for the lost and love and passion for the Lord Jesus Christ who is their only hope. “It was not easy to keep first things first and make time for prayer. Yet without this there cannot but be failure and unrest” (p. 22). Prayer and delighting myself in God is vital. “The One Great Circumstance of Life, and of all lesser, external circumstances as necessarily the kindest, wisest, best, because either ordered or permitted by Him” (p. 79). I need to have a bigger view of God. This is vital in part because “The secret of faith that is ready for emergencies is the quiet, practical dependence upon God day by day which makes Him real to the believing heart” (p. 100). “’My father sought the Truth,’ he continued sadly, ‘and died without finding it. Oh, why did you not come sooner?’” (p. 95). This quote reminds me of the absolute importance of heralds going to share the good news of Jesus. “In these days of easy-going Christianity, is it not well to remind ourselves that it really does cost to be a man or woman whom God can use? One cannot obtain a Christlike work save at great price” (p. 27). This quote—and Hudson Taylor’s life—reminds me and reinvigorates me to seek hard after the Lord. “How then to have our faith increased? Only by thinking of all that Jesus is and all He is for us: His life, His death, His work, He Himself as revealed to us in the Word, to be the subject of our constant thoughts. Not a striving to have faith… but a looking off to the Faithful One seems all we need; a resting in the Loved One entirely, for time and for eternity” (p. 158). This quote answers a very important question. How to have more faith? Meditate on Jesus! “If God should place me in a serious perplexity, must He not give me much guidance; in positions of great difficulty, much grace; in circumstances of great pressure and trial, much strength? No fear that His resources are mine, for He is mine, and is with me and dwells in me” (p. 165). This is a good reminder that whatever I face, God will be there with me as my ever-present, every-ready, and all-powerful help. I need to trust the God who is simultaneously the Lord of the universe and my Father. I need to faithfully pray in reliance and desperation to the One who is Lord and Father. I need to renew my commitment to spend and be spent for the Lord. I need to renew my commitment to discipline myself for the sake of godliness. I need to meditate more on Jesus (His person and work). I need to trust that God can use one poor and needy sinner such as I to accomplish great things for His glory. I need to develop more of a heart for those who are without hope and without God in the world. I need to keep first things first and seek God above all things—even good, healthy, and productive things. I need to remember that whatever challenges are in front of me God’s grace is sufficient. God is all-powerful and He is with me. He is my Father! Taylor says, “I was enabled by His grace to trust in Him, He has always appeared for my help” (p. 153). I’m being facetious in the title. But here are my favorite books that I read in 2017. They are in no particular order. That would be too difficult. If I could make you read just one book, however, it would be The Tech-Wise Family by Andy Crouch. A treatise on vanity. This is basically the book of Ecclesiastes. What a depressing book. How is a book like that ever to be read and enjoyed, especially with our modern sensibilities? We need stuff that will make us feel good even if it is not the truth, right? Isn’t that what we need? That, at any rate, is what much of society would have us believe. At first glance, it seems that the book of Ecclesiastes is a book that would throw you into nihilistic depression just short of suicidal. So what use has it in Scripture? Or, what, at least, use do we have for it today? Well, it does no good to build upon a shoddy and cracked foundation. We can build all we want but all we do is for naught if the building will never truly stand. If we are to truly build something that is worth anything we must start anew. We must strip it down to the bedrock. To say that all is vanity is to say that all is cracked, you cannot build upon it. That is not to say that these things are inherently bad, they are not. But for us to understand these things, whatever they may be for you, we must first know they are desperately cracked. They can never hold anything of substance. They can truly never be built upon. They can’t hold the weight. Thus, if we experience discomfort from Ecclesiastes it is the doctor’s scalpel. It is the necessary pain for the healing of our life.